Getting the different renewable energy technologies to go hand in hand has been difficult to implement for many years – having a windmill to supply power to a geothermal plant sounds obvious. It immediately becomes something else when the permission to put a windmill capable of attaining the Kw hours to use, is denied. The alternative is solar cells. 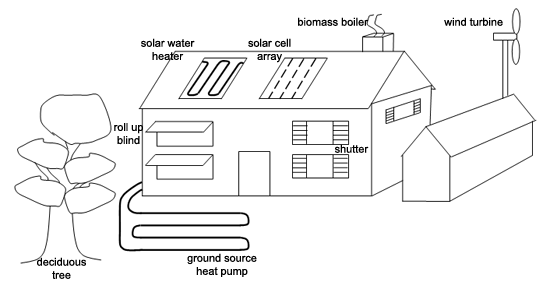 We need to reduce power consumption at geothermal and this can be done by interacting with solar cells, during the summer, consumption is then greatly reduced. New controllers available in the market, can help ensuring minimal use of geothermal, so that it is used only when the collector cannot deliver enough. The economy is then reasonable and comparable to that of household wind / geothermal energy. Thus, it is now possible to get official support to replace fossil fuels. Up to 38% of Denmark cannot enjoy the benefits of district heating as public supply. Victor Energy Ltd. offers such solutions for your home, industry or community. For large scale projects, watch in this video the Danish National Energy Plan.